The French actress Sabine Azéma will preside over the Caméra d’or Jury this year, to select the best first film presented in Cannes. The Caméra d’or, created in 1978, is awarded to the best first film presented in the Official Selection (In Competition, Out of Competition and Un Certain Regard), during La Semaine de la Critique or the Directors’ Fortnight, which represents a total of 26 films in 2015. The Caméra d’or boosts a film-maker’s career by offering him exemplary visibility and international opportunities. Jim Jarmusch, Mira Nair, Naomi Kawase, Bahman Ghobadi and Steve McQueen were awarded this in the past. In 2014, the award went to the French film Party Girl, presented in the Official Selection, Un Certain Regard. The Caméra d’or 2015 will be awarded by the Jury President during the Awards Ceremony on Sunday May 24th. Sabine Azéma stood out in the theatre acting the parts of leading lady before playing the daughter of Louis de Funès in La Valse des toréadors (1974). She received many proposals after this role and thus began her cinema career. 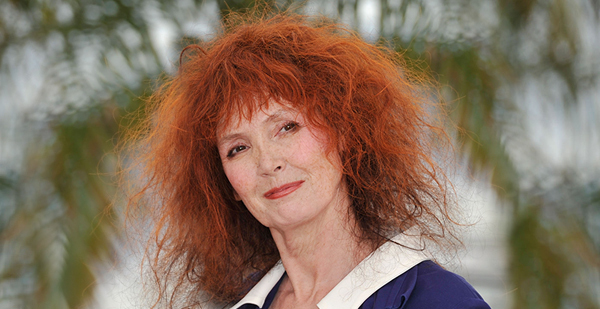 As early as 1985, she won her first César for her role in Bertrand Tavernier’s Un dimanche à la campagne (A Sunday in the Country), presented in Competition at the Festival de Cannes. In 1989, Tavernier gave her another major part in La Vie et rien d’autre (Life and Nothing But). Her career took a decisive turn when she met Alain Resnais. Their collaboration has lasted for nearly three decades, with the film-maker enabling the actress to reveal the various sides to her talent: she was the tragic heroine in L’Amour à mort (Love unto Death) (1984), then in Mélo (Melo) (1986) for which she was awarded a César for Best Actress. She then went on to interpret very different characters, in Smoking / No Smoking (1993), On connaît la chanson (Same Old Song) (1997), Pas sur la bouche (Not on the Lips) (2003), Cœurs (Private Fears in Public Places)(2006) or Les Herbes folles (Wild Grass) (2009) and Vous n’avez encore rien vu (You Ain’t Seen Nothing Yet) (2012), both selected in Competition at the Festival de Cannes. Alain Resnais’ muse, she has also starred in films directed by Doillon, Mocky, Blier, Etienne Chatiliez who made her a popular actress with Le Bonheur est dans le pré (1995). Sabine Azéma’s acting literally ignites the screen and inspires young directors: Le Mystère de la chambre jaune (The Mystery of the Yellow Room) by Denis Podalydès, L’Ami de Fred Astaire (Let’s Dance) by Noémie Lvovsky, Peindre ou faire l’amour (To Paint or Make Love) and Le Voyage aux Pyrénées by the Larrieu brothers.